Kids will enjoy Scuba & Snorkeling and Mont Choisy Beach. Take a break from the city and head to Pereybere Beach and Grand Gaube Beach. Get out of town with these interesting Grand Baie side-trips: Ile Plate Beach (in Cap Malheureux) and Bras d'Eau Public Beach (in Poste Lafayette). Next up on the itinerary: gain insight with L'Aventure du Sucre, stop by Historic Marine, enjoy the sand and surf at Anse La Raie Beach, and admire the natural beauty at SSR Botanic Garden. For photos, where to stay, reviews, and other tourist information, refer to the Grand Baie trip itinerary builder site . Riyadh, Saudi Arabia to Grand Baie is an approximately 11.5-hour combination of flight and car. Due to the time zone difference, you'll lose 1 hour traveling from Riyadh to Grand Baie. Plan for a bit warmer temperatures traveling from Riyadh in December, with highs in Grand Baie at 34°C and lows at 27°C. Finish up your sightseeing early on the 7th (Fri) so you can go by car to Chamarel. 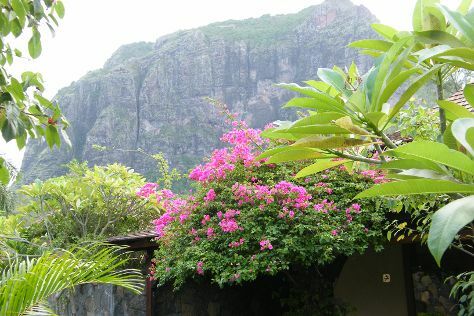 Get a sense of the local culture at Le Morne Brabant and International Slave Route Monument. You'll visit kid-friendly attractions like Black River Gorges National Park and Seven Colored Earths. Step out of Chamarel to go to Bel Ombre and see Heritage Nature Reserve, which is approximately 30 minutes away. Next up on the itinerary: stop by Rhumerie de Chamarel, take in the dramatic scenery at Chamarel Waterfall, browse for treasures at Le Dernier Comptoir, and take some stellar pictures from Piton Canot. To find ratings, traveler tips, where to stay, and tourist information, go to the Chamarel road trip planning website . You can drive from Grand Baie to Chamarel in 1.5 hours. December in Chamarel sees daily highs of 34°C and lows of 27°C at night. On the 11th (Tue), wrap the sightseeing up by early afternoon so you can travel back home.